ISLANDE – Hofsstaðir - Two children’s graves were discovered during an excavation at an ancient burial site by Hofsstaðir in the Mývatn rural area, northeast Iceland, this summer. Archaeologists believe the discovery supports the notion that those who died without having been baptized were buried outside cemeteries. 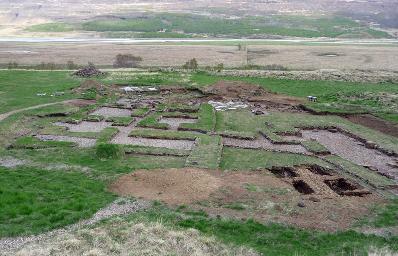 Archaeological research of the Hofsstaðir burial site has taken place with intermission for the past 14 years. The site is believed to date back to the latter part of the tenth century. So far, archaeologists have unearthed 177 skeletons and two churches,ruv.is reports. This summer archaeologists have focused on the cemetery wall and the area outside it. The project is far from finished; there are plans to excavate the entire burial site to obtain an integral bone collection from the Middle Ages and other information on burial ceremonies and churches from that time. “I would guess that we have excavated more than half of the cemetery but we have to enlarge the area both to the south and west in the coming years to uncover all of it,” said archaeologist Oddgeir Ísaksen. SUEDE – Birka - Divers off the coast of Birka, an ancient Viking village near Stockholm, have uncovered 100 metre long jetties suggesting a coastal marketplace that was not previously imagined. The team found that jetties stretching off the coast of the Björkö island were actually significantly longer than they initially believed, and could provide valuable information about the Vikings and their habits. Andreas Olsson, a marine archaeologist who is heading the international team, was amazed by the find. “We have found stone piers in deep water and these were rare for this age. Timber, logs and poles as well. Previously, it was not thought that the Vikings could build stone piers at a depth of eight meters,” he told the Dagens Nyheter newspaper (DN), adding that the team is in the process of figuring out how the port might have looked from this information. The marine archaeologists, who have now estimated that the village was 30 percent bigger than previously imagined, also believe that a marketplace may have been based in the waters of the harbour. 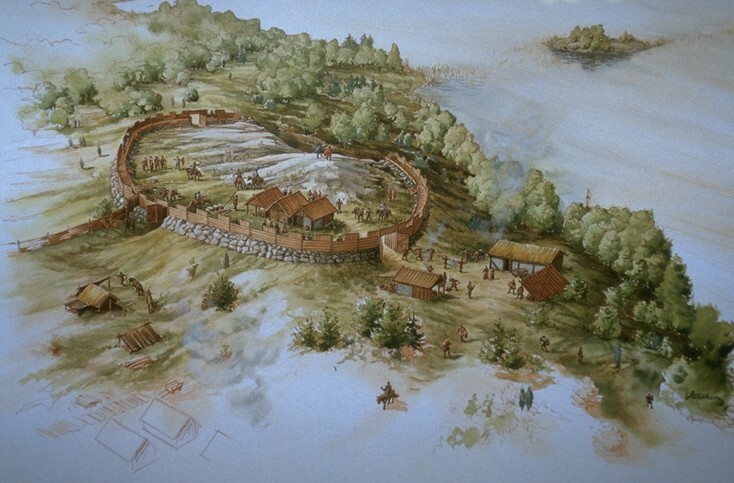 Olsson explained that the jetties, which are five times longer than previously believed, were likely connected with the Vikings extensive trade system, and could indicate that the area was indeed a bustling village. "The remains of the port structures show that it was actually a port, not just small jetties jutting out onto the beach as previously thought," he said. "Everyone has ideas about the Viking age. Many of these emphasize the wild, warlike nature of the people, but what we're working on will distinguish the picture. This is great, not least because that age is ever-present in popular culture,” Olsson told the paper. The village of Birka, which is often considered to be Sweden's oldest town, has been a UNESCO World Heritage Site since 1993. FRANCE – Veynes - Aujourd’hui, le projet initial d’écoquartier Saint-Marcellin à Veynes doit mettre les compteurs à zéro. Les fouilles préventives qui ont été menées en mai 2011 ont en effet dévoilé la présence de vestiges datant du Néolitihique et de l’Age de bronze. Une découverte de taille pour l’Inrap (institut national de recherches archéologiques préventives) qui modifie les plans de ce projet porté par la Ville et la société Urban coop. CAMBODGE – Phnom Penh - Archaeologists in Cambodia got some help over the weekend from a group of grimy kids. The children were bathing in a newly dug watering hole when they stumbled across six ancient Buddhist statues that experts are estimating to be more than a thousand years old. 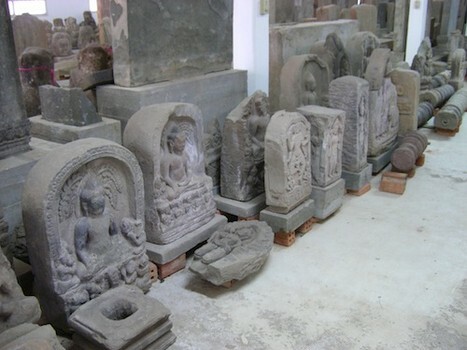 In an early morning press conference Prak Sakhon, an official with the Provincial Culture Department, said the six statues that were found were close to the banks of the newly excavated pond in a small village about fifty miles north of Phnom Penh, the capital city. Prak Sakhom estimated that the statues ranged from the ninth to twelfth centuries. The largest of the statues weighs about twenty pounds and stands nearly half a yard tall. It is expected that archaeologists will excavate the area where they were discovered in hopes of unearthing more of the ancient statues and discovering why they were there. INDE – Panchapandavar - A bird’s-eye view from the Panchapandavar hillock at Keezhavalavu on the Melur-Tiruppattur road gives an idea of the threat posed by illegal quarrying to ancient monuments and archaeological sites. 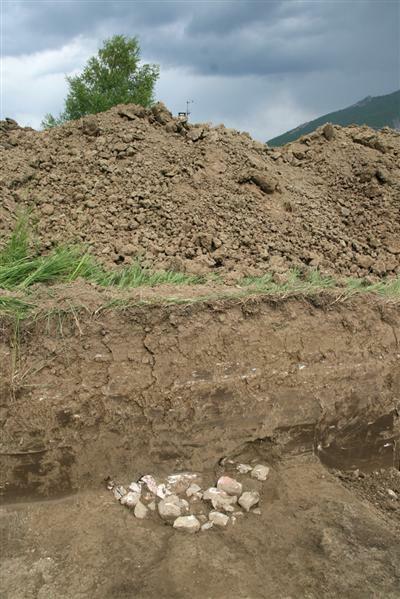 Private quarry operators have not spared archaeological sites. Thousands of granite blocks are piled up around the hillock as the areas close to the foothills have been converted into a storage yard. The archaeologist C. Santhalingam told Fronline that the private quarries operated in clear violation of the Ancient Monument (Preservation and Conservation) Act, 1925, which laid down that any addition or alteration of structures would be permitted only 300 metres away from a monument. Of this, the first 100 metres would be treated as restricted area and the remaining 200 metres as regulated area. Within the restricted area, permission would not be granted for any construction activity. These rules have been flouted in respect of certain monuments including the 3rd century B.C. Jain monument at Thiruvadavur where quarrying is done up to a distance of 50 metres from the monument, which is under the protection of the State Archaeology Department. Even the approach road to the site has been blocked. “If quarrying is allowed any further, nobody can visit or inspect the Jain rock-bed there,” Santhalingam said. The explosives used for quarrying would also affect the boulders that were part of the monument, he warned. The 2nd century B.C. Jain monument at the Panchapandavar hillock, which was declared a national monument by the Archaeological Survey of India (ASI), escaped, thanks to the intervention of the Madras High Court. The Society for Community Organisation Trust took up its care with the support of the local people in 2008. Another site where illegal quarrying was abandoned owing to local initiative was the 8th century cave temple of Siva at Arittapatti in Melur taluk. The site had been declared a protected monument by the State Archaeology Department. The 1st century B.C. Jain monuments at Muthupatti village on the Madurai-Theni road under the ASI had also been saved, Santhalingam said. INDE – Annigeri - The mystery surrounding the Annigeri skulls seems to have ended with the state archaeology department (SAD) concluding that they belong to victims of a severe famine between 1792 and 1796. The famine had affected Bagalkot, Bijapur, Annigeri and other parts of north Karnataka, the department said. Various theories were doing the rounds ever since the skulls were unearthed . The theories indicated that the skulls were the outcome of a massacre and mass killing for witchcraft. Speaking to TOI, R Gopal, director, state archaeology department, said the C-14 report from Beta Analytic, Florida, a radio carbon dating laboratory , claimed the skulls were just 180 years old. "After getting the report, we did an extensive study and found some evidence to substantiate the claims of Beta Analytic.